Today I'd like to share seven best practices I follow when setting up GA on every new property. Be consistent with your www’s: Your site should respond either at www.mysite.com or mysite.com, not both. Be sure to redirect ALL traffic to one domain or the other. Strip trailing slashes from URLs: Make sure that people visiting www.mysite.com/somepage/ get redirected to www.mysite.com/somepage without that trailing slash. If you can’t manage that, at least make it consistent. Do the same for your indexes and defaults: For example, if www.mysite.com/somepage/index.html is identical to www.mysite.com/somepage, redirect traffic to one or the other, so that only one URL responds for every page. Secure everywhere (or nowhere): You have an SSL certificate for your site, right? If you do, always redirect your traffic to https://www.mysite.com/ so that no traffic goes to a non-secure URL. 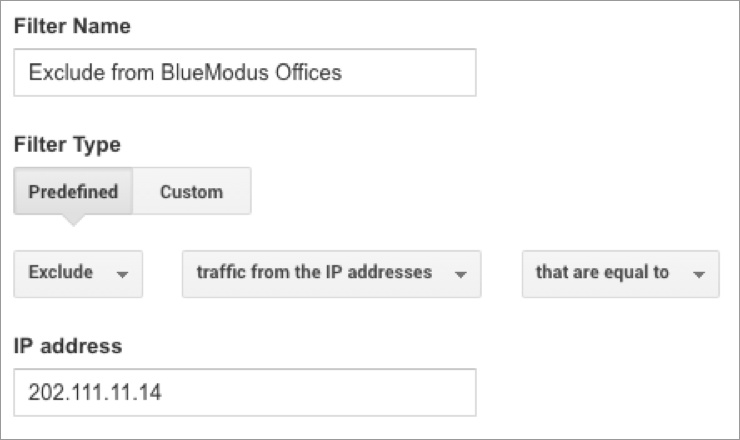 Google Analytics will automatically create a single view for your property called “All Web Site Data.” I have a simple rule for this view: DO NOT EDIT IT AT ALL…NO MATTER WHAT! That’s right. No filters, no calculated metrics, no goals, no nothing. I will enable things like e-commerce tracking and search tracking, but for the most part I just want to keep a pristine view that I can rely on having all my data without alteration. This means the first thing I’ll do is create a view that’s just called “My Site Filtered” (e.g. "BlueModus Filtered”), which becomes my go-to view for all normal analytics. From here on out, all I edit is this view. For every view you create, you’ll want to make sure you set the correct time zone (ideally yours, although you may have reasons to match server time or UTC), and set up site search tracking if search happens to be available on the website. Here’s where “Filtered” lives up to its name. GA can end up capturing a lot of garbage data, including development sites, spikes in traffic when QA load tests the site, and any odd traffic coming in from web scrapers and bots. So you want to filter that all out. First, you’ll want to filter our bots in the view settings. It’s a checkbox and it does magic that used to require a mile-long regular expression to be constantly monitored and updated. Next, filter out data that doesn’t relate to your real analytics. I have a few filter rules for this. 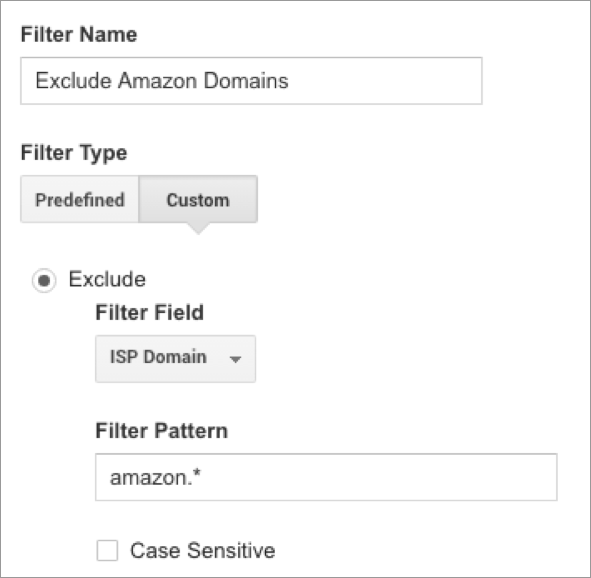 Additionally, I like filtering out Amazon Web Services traffic, since a lot of bots use it, and all of our internal testing tools make use of it. 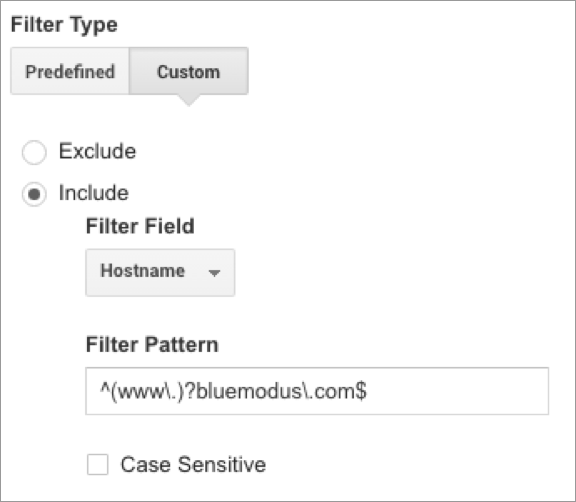 Each instance is unique, so you may have some other domains to filter, too. Be particularly cautious of tools you use that can generate a lot of meaningless traffic on their own. Another area that sometimes throws off analytics is capitalization. I’ll send out a campaign named “October Lead Generation”, but a developer tags it as “october lead generation”, which results in the creation of two separate campaigns in GA. The same can happen with events, host names, and even URLs. 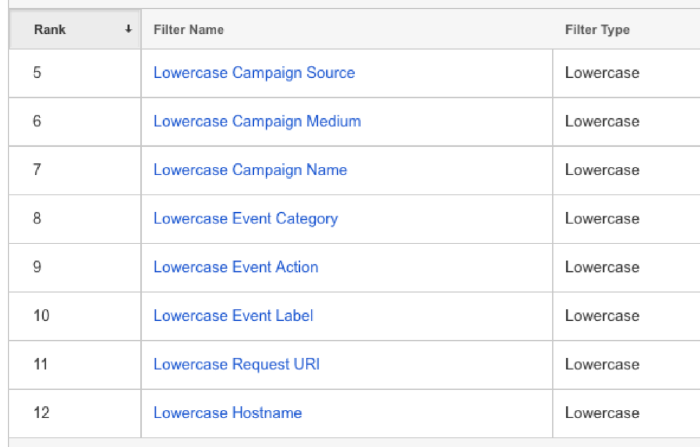 Personally, I just prefer everything uniform, so I create filters that make everything lower case - hostnames, URLs, campaigns, sources, mediums, event categories, actions and labels. 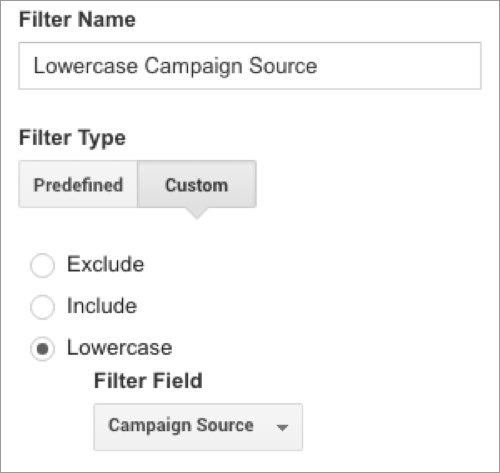 These are super-simple custom filters to make, just click "Custom", select "Lowercase", and pick your field. I also throw in an annotation as soon as I set the site up, which I simply call “Site Launch” or, if it’s not a new site, “GA Implemented”. 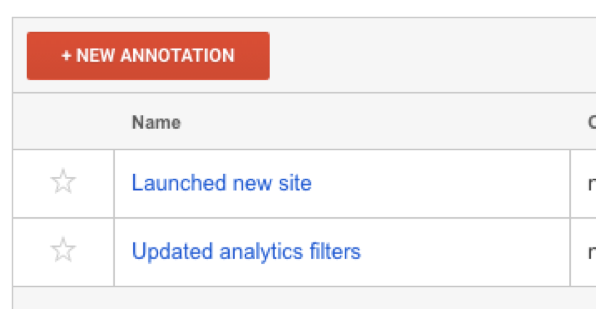 If I make changes to filters or other analytics settings, I’ll put an annotation reminding me of what I changed - filters, or site configuration, or whatever. This provides me with a simple and easily accessible history of updates that may affect the site data. Finally, I set this all up with Google Tag Manager instead of just pasting in the GA code. There’s lots of reasons why GTM is superior, but that’s a post for another day. Stay tuned! In the meantime, if you’d like some information about how to get started with GTM, or further details on the tips above, feel free to leave me a comment!